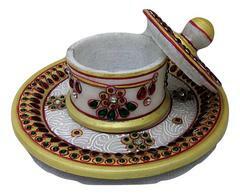 Can be used to serve dryfruits or mouth freshner item. Perfect Gift for House Warming/Anniversaries/Birthdays / for all occasion. Prevent from scratches and stains. Wipe with soft dry/ damp cloth peiece( incase of stain). Avoid chemical detergents or any abrasive material for cleaning. 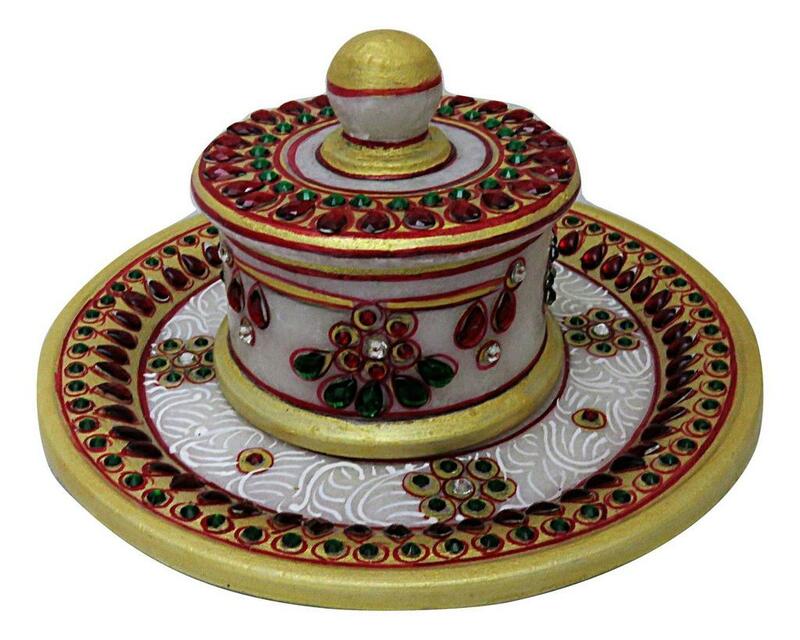 Please Note:- Products on IndicHues are hand crafted and handpicked for you from various parts of India. Because of the intricacy of the work, there may be slight variations in the colors of the image you see on your monitor and the actual product. Though we take great pains in ensuring that what you see is as close to the real thing as possible.